We are instrumental in offering the finest Silk Yarn to the clients at highly competitive prices. These yarns are made using genuine quality fibers and other material. Moreover, we have a team of experts, which makes sure to offer a range of silk yarns as per the clients’ preferences. In our range, we offer Tassar Silk Yarns, Mulberry Silk Yarns, Dupion Silk Yarns and Tassar Ghicha Silk Yarns. Moreover, customization facility helps us in attaining maximum level of customer satisfaction. 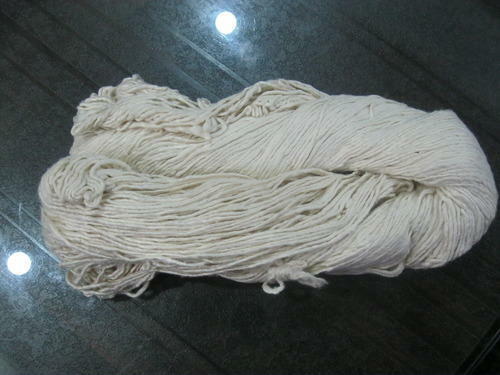 Dyed Silk Yarn is offered by us to customers in bulk at most reasonable rates. Dyed Silk Yarn is appreciated for its soft texture and smoothness. 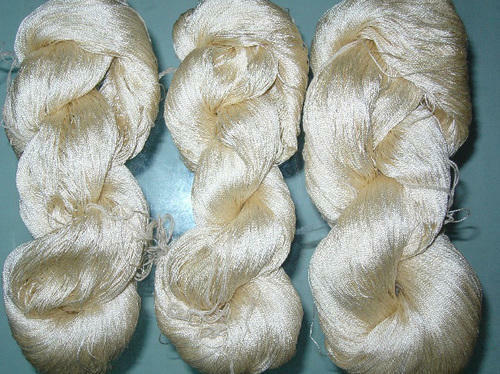 Dyed Silk Yarn is offered by us in various colors and patterns. Further, these products are available in the market in safe packaging at most reasonable rates. 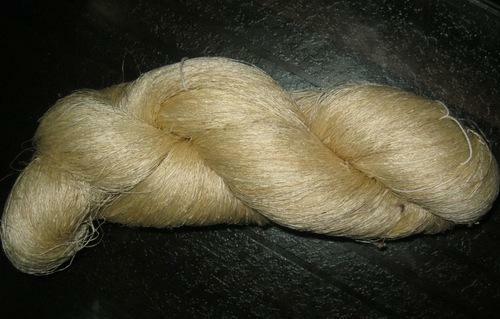 Spun Silk Yarn is made from all silk waste raw material and is used for many different products. We are manufacturing an exclusive range of Eri Silk Yarn which is generally used for knitting as well as for weaving on Hand Looms as well as power loom and it is very unique specially used for Interiors because of its thickness. Tussar Ghicha Silk Yarn is wild silk and is made from Tussar Polly cocoons it is a hand made yarn also known as matka silk yarn which is used for making garments. 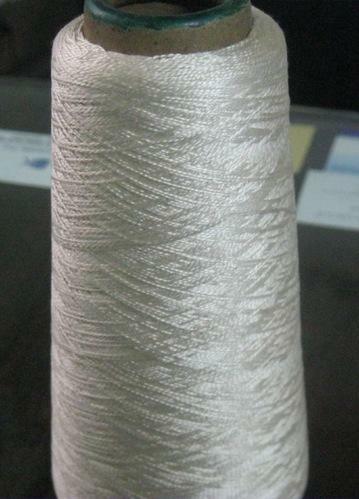 Dupion Silk Yarn is made up of Mulberry cut cocoons and is used for garments like Blazers, coats, women wear like skirts, trousers and and for interiors. 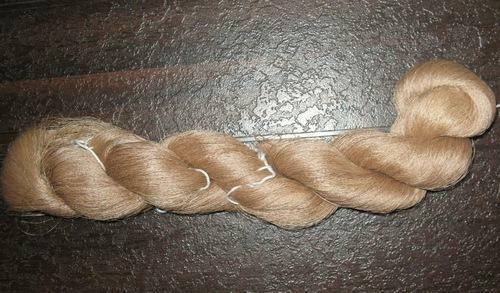 Tussar Silk Yarn is wide silk made up of tussar cocoons. This wild silk is only produced in India and it is available fom October to January. Highly in demand for making fabric. 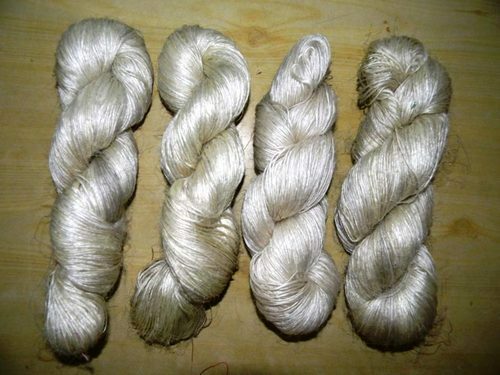 Mulberry Silk Yarn is made up of Mulberry Silk cocoons and it is used for making fabric also known as raw silk. 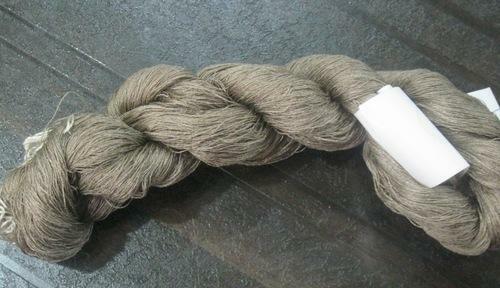 This Tussar Nassi Silkyarn is made up of Tussar petiole and it is 100% organic. only we are making this finishing yarn in whole India. 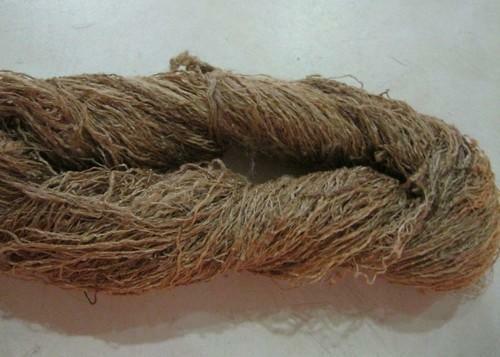 This yarn is made up of silk waste raw material and it is specially used for hand knitting and carpets. This Woolen Silk Blended Yarn is specially used for making stoles and carpets. 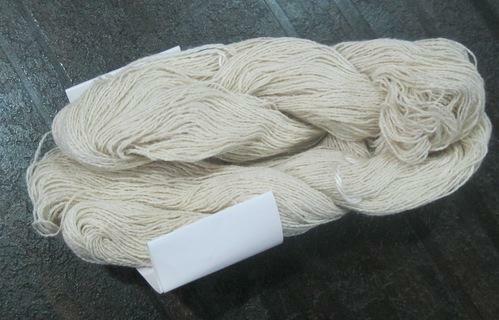 This Yarn is used for making carpets and for hand knitting. All the colours are dyiesable in acidic dyes. We offer Recycled Yarn to our clients. 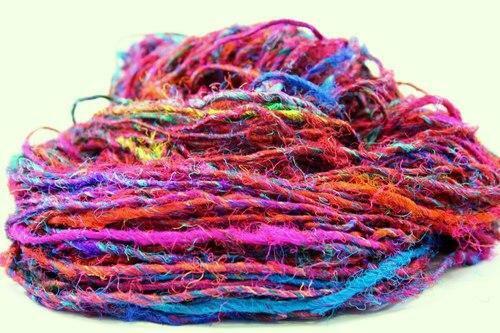 This yarn is made up of dyed silk yarn waste.